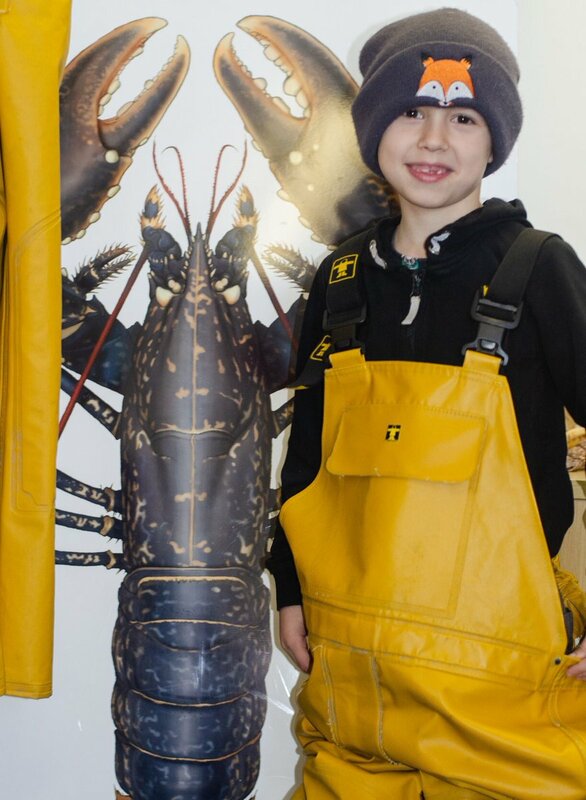 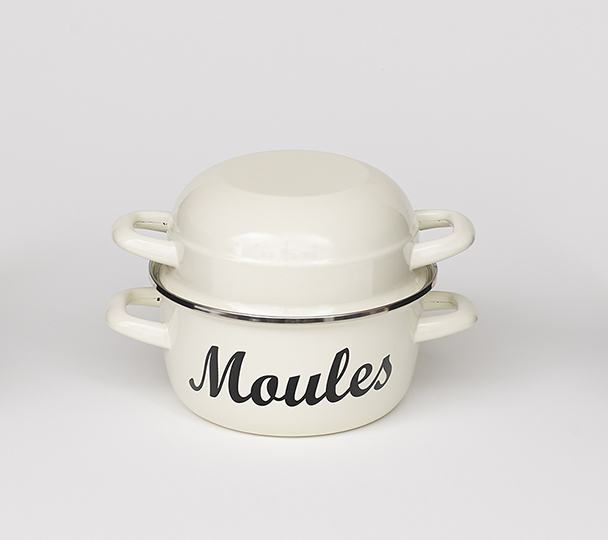 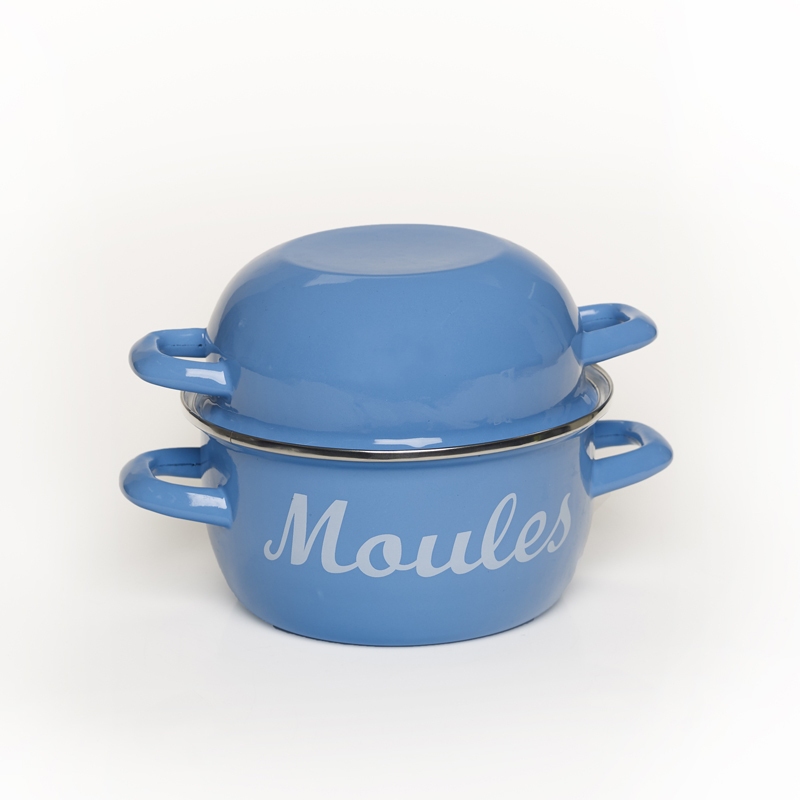 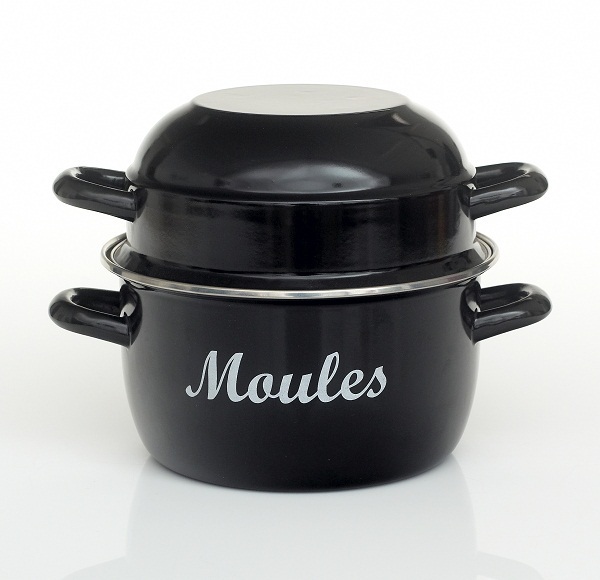 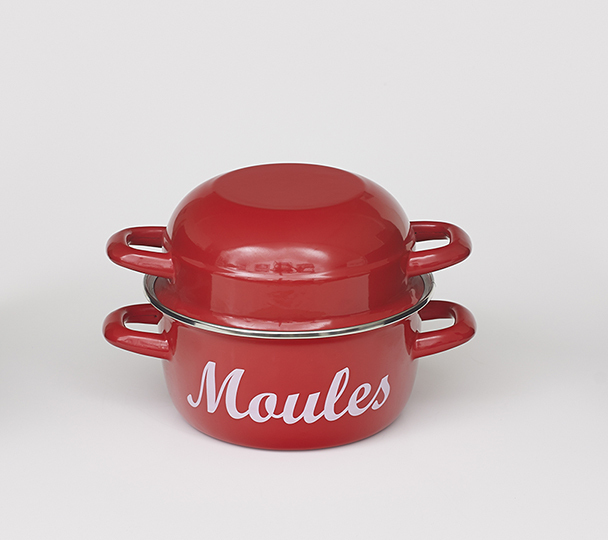 In super quality coloured Enamel with the word Moules printed on the side, these are the middle size in our range - great for sharing or just for one hungry person! 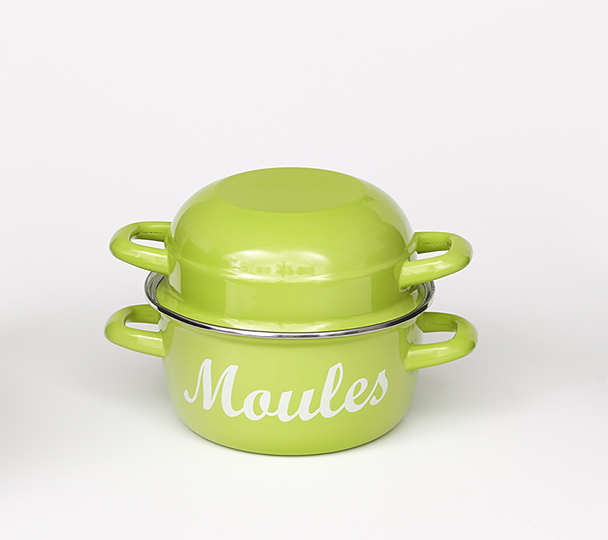 Currently Available in Black, Green or Blue with White lettering or Cream with Black lettering. 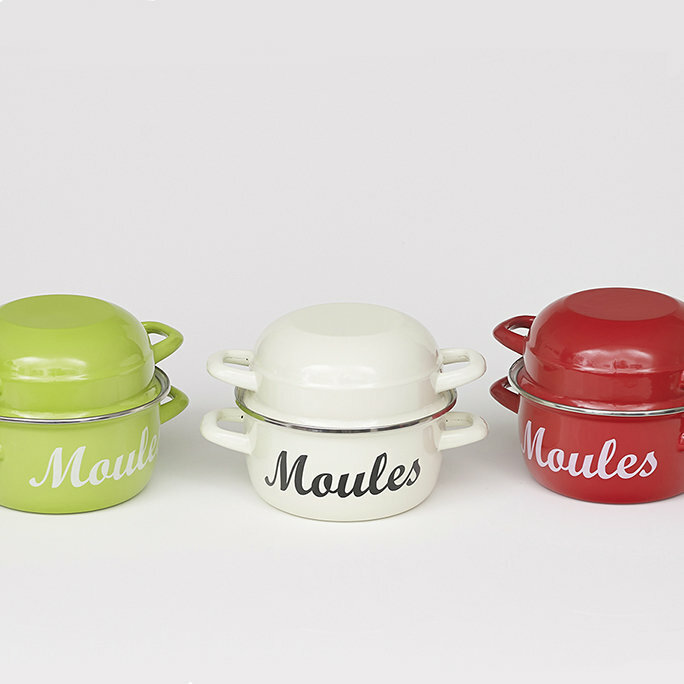 Please see our other listings for Small and Large Pots.